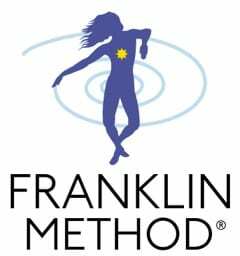 If you want to move with greater ease and efficiency, to better sense your body and gain improved coordination, then the Franklin Method® is for you. Designed by Eric Franklin in 1994, the workshops use education, dynamic imagery and a multitude of creative methods to improve our awareness and alignment while finding ways to develop new habits. Although the concepts behind the Franklin Method® are highly science based, this method is very accessible. These workshops are open to all - no experience is required. Watch a video clip of Eric Franklin addressing Core Stability. Are the Franklin Method® workshops primarily to target injuries? Not specifically, although as these workshops aim to improve function they can be extremely useful for an area that is prone to pain or injury. Aside from that, most of us can benefit from improving function anywhere in our body. We frequently don’t know that an area is performing sub-par until we improve it and have a comparison. Can just one workshop make a difference? Absolutely. Particularly because you get to “own” the information. You come away with an understanding of how the body moves as well as helpful imagery and movement to add it into your life as you wish … walking, sitting, carrying etc. And of course, in Pilates class. Franklin Method® workshops can involve workouts but the ones we teach generally do not. At times they involve lots of movement but generally they would not be intense enough to be referred to as a workout. If I’m already doing Pilates with a Franklin Method® certified instructor, will the workshops be helpful? Yes, yes, yes. While we often incorporate elements of the Franklin Method® into our Pilates classes, there isn’t time or class design to give you the whole picture. Partly why the Franklin Method® can be so effective is that it is so thorough and precise with teaching structure and bone rhythms. This allows you to image movement more clearly and improve patterns. If it’s not strengthening anything, how can it be effective? We have found that Franklin Method® work can be a difficult sell due to its apparent simplicity. Although based on complex biomechanics and physiology, the techniques are often very simple. For example: Spend two minutes tapping your scapulae, while paying attention, and for almost everyone, range of motion and ease of movement improve instantly. To me this is exciting and something movement teachers and rehab clinicians should exploit. It doesn’t solve everything but it is an easily added tool. The resistance to this is surprising but we humans sometimes prefer complex solutions to complex problems. If we add a bit of an explanation it can help. Tapping “wakes up” sensory nerve endings and “lights up” the area of the brain associated with that region. A movement such as lifting an arm overhead requires an extremely complex sequence of muscle activation and release that we cannot possibly think through consciously. Increasing proprioception (awareness) automatically improves coordination and patterning as there is more feed back. It could also be said that tapping awakens the inherent intelligence of the nervous system. Often, even that much information is enough for us to accept it more readily. What if I just can’t sense it? Then image it until you can sense it. There is just no way around it. To create change in postural habits we have to involve our brain. The more we practice imaging the more we carve out and strengthen new neural pathways. Those new synapses have no hope of developing if new messages are not sent. And for any change to occur the nervous system has to be given an option. Another possibility.